Road Trail Run: Salomon District Vision Chadwick Racer Review: Performance on the Trails, Statement on the Street. Sam: District Vision of NYC designs and sells a wide range of high performance, retro modern stylish running focused sunglasses, and apparel including their new Air__Wear run tops. All of their products have proven outstanding in their functionality, comfort and beautiful modern retro styling in our testing. District Vision's motto is "Tools for Mindful Runners". I previously tested and reviewed District Vision sunglasses here. Designed in NYC and crafted in Japan of top notch materials, their easy on the eyes run focused optics and functionality is outstanding. They remain one of my key go to shades for road and trail running as well every day wear and driving. Now in collaboration with Salomon, they introduce the Chadwick Mountain Racer. Chadwick can be called a highly ruggedized firmer narrower on the ground platform variant of Salomon’s iconic Speedcross. District adds some design characteristics and features reminding of an approach shoe in the multiple lace holes towards the toe (no Salomon QuickLace Kevlar cords here) nd rugged Kevlar fabric toe bumper. Salomon even let District take a shot at re expressing the Salomon name in District colors and style on the tongue. Such limited runs are not that unusual for Salomon. A recent GQ article here revealed the popularity of the Salomon Speedcross with cutting edge folks in the fashion industry. And it turns out District Vision’s founders originally were involved in design and fashion before committing full time to creating a running brand focused on mindful running, modern retro design, top notch performance materials and even I think subtle classy high style. So while our focus was in testing on trails, we both got many plaudits while wearing them around town. For sure the Chadwick Racer can cross over to more casual wear and likely will find its way into “sneakerhead” collections. Jeff and I put it to the test on Colorado, Utah, and New Hampshire trails and...city streets. Jeff: The Chadwick Mountain Racer combines a retro hipster sort of vibe with a Speedcross making for an interesting hybrid. The Chadwick Mountain Racer has a unique style that caters to those who are looking to divide their time between making an outdoor statement while spending a night out on the town and ripping steep, loose dirt, mud and snow. The shoes feel very high quality and well built, very stiff and somewhat blocky. Immediately noticeable is the omission of the ubiquitous Salomon Quicklace, replaced with traditional laces and 7 eyelets spanning a long distance over the top of the shoe. Fit feels precise if a bit narrow, the cushioning exceptionally firm. Sam: Jeff has it right, a retro yet modern look which is a look and feel all District Vision products share. Colorful and striking in more natural colors, there is no neon here but plenty of pop. This is no slipper like soft trail runner. Taut, firm, and with a snug precise yet comfortable upper facilitated by the stiff Kevlar reinforced toe bumper which raises the narrow toe box height and keeps it there. I was sized up half a size from my usual and very happy District did so, as the fit is just right if of course snug and precise. 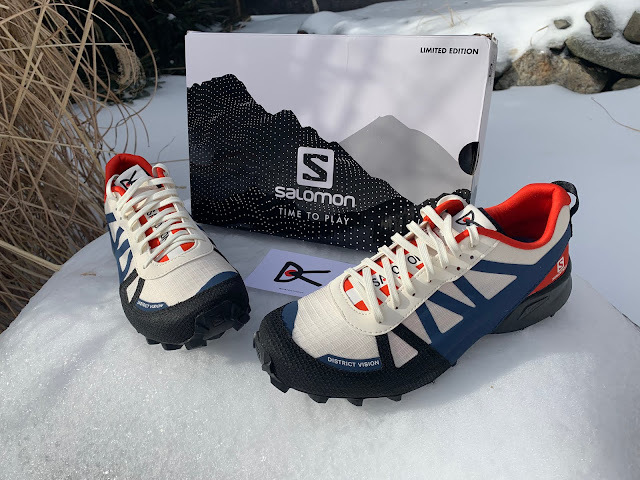 From outsole to upper this shoe screams durability and even beyond the usual in a Salomon, often among the most durable of trail runners.The feel underfoot is more reminiscent of a hiking shoe than trail runner, dense firm and stable. In fact I prefer such a feel for long days standing and walking on hard city surfaces. The dense rugged white mesh in my red, white and blue keeps out debris and moisture but gets dirty quickly when mud is in the mix. They can be cleaned but don’t expect them to stay pristine white for long. Jeff’s color may be more “practical” if you want to keep ‘em clean and sparkling. Jeff: The upper is classic Salomon in design with a water resistant closed mesh and crossed Sensi Fit welded support overlays over the midfoot, and an Endofit integrated tongue for superb wrap booty like fit and added stability. Materials are somewhat thick and canvas like, breathability is muted by the water resistant upper. Water resistance is good in the snow and dampness, but do eventually soak through in slushy wet conditions. The kevlar fabric toe cap is bombproof and integrates amazingly well with the continuation of kevlar wrap around the rand for the utmost protection and durability. Fit is true to size, but is race like with very little if any extra wiggle room, which is great for ideal stability and control no matter the terrain underfoot or speed, but anyone with wider feet or looking for room for comfort, splay and swelling accommodation during longer runs may want to think twice or potentially size up a half a size as Sam did. Even then he found it a snug and narrow fit if comfortable one. Gone are the Quicklace’s we are used to seeing with Salomon and Speedcross and replaced with traditional laces with a whopping 7 sets of eyelets starting low on the shoe all the way up to the collar. I am fine with normal laces in most shoes, prefer it actually, but sort of miss it while wearing a Salomon shoe, as they do it so well,. The traditional laces however work very well here and contribute to a very precise and secure midfoot fit. The lace garage remains, accessed from the bottom just above the stitching below. The heel collar is on the minimal end of being moderately padded and is relatively low in height, sitting below the ankle bone. The heel counter is stiff and well structured, providing good heel hold, stability and protection. The Endofit tongue is moderately to thinly padded and is foot wrap/bootie style for improved fit and added control. Sam: I do not have much more to add to Jeff’s great description of the upper. The Chadwick Racer upper fits its "race" name well. HIghly secure, with great front protection from the Kevlar fabric toe bumper ,it is an upper for rugged quick scrambles more than long easy runs on more mellow terrain even sized up half a size as I was. With close to an approach type fit and design (7 lace holes and that bumper) I never worried about the upper holding me, yet it was comfortable with very decent toe box height, if on the narrow side given the shoe's purpose. Jeff: The midsole is a combination of molded and injected EVA, along with LT Muscle inserts positioned on the lateral midsole heel for added cushion on impact for heel strikers. On softer surfaces however, I appreciated the firm midsole, as it provides support and predictability, where an overly flexible shoe might otherwise become tiresome. On hard surfaces, particularly when rock hopping, the lack of flexibility equates to a lack of contouring over uneven surfaces and can feel slightly tippy at times, requiring a bit of added care and attention. Response is moderate, not really inspiring speed, but can handle going fast when nudged. 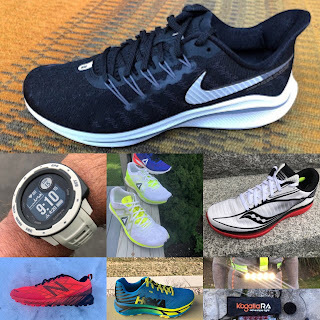 Sam: I agree with Jeff this is a firm and stiff midsole/outsole platform and when combined with the black firm Contragrip outsole a midsole that feels more like what one might find on a hiking shoe than trail runner. While very firm, I did find running some roads that they feel somewhat like a firm race flat but but without much bounce. I do agree with Jeff that all the firmness and narrow platform contributes to some tippiness at speed but for slower steep walking climbs and more moderate pace descents the support it provides is excellent. With city wear and standing around in mind as well, such a firm midsole should provide plenty of support. I tend to prefer firmer midsoles for cruising running and outdoor trade shows and the Chadwick would be ideal for that. The overall platform is slightly narrower than the Speedcross 4 especially at midfoot and towards the heel. Combined with the stiffness this narrower platform may contribute to the sense of tippiness Jeff felt at speed, reminiscent of the Sense Pro 3. The outsole is made of Salomon Contagrip rubber with deep, classic Speedcross chevron directional lugs, which provide remarkable grip on soft terrain like mud, dirt, off trail duff, snow and whatever loose chaff you can find. Jeff: The Contagrip rubber here however differs from the Premium Wet Traction Contagrip I am more used to in the XA Elevate for example, as it is a seemingly harder and more dense rubber compound, for the sake of lug durability I am guessing. While wear resistant and durable, the hard compound of this rubber pushes into the firm midsole and provides added harshness, particularly on hard surfaces. Though grip is amazing in loose stuff, the hardness of the rubber combined with the pronounced lugs not providing a lot of ground contact, I found grip on slab rock and particularly wet rock/slabs is lacking and I find myself using care to not take a slip. Sam: This is one aggressive and firm outsole. I found it excellent on loose snow. On frozen trail mud (the only mud I found this winter while testing) the giant lugs tended to get in the way, catching small obstacles and not contouring particularly well. On smoother trail they were fine. The outsole should last a very long time and once worn down a bit likely will produce a more agile less tippy feel. With city wear also in mind it should be a great outsole for miles and miles of slippery hard sidewalks. Jeff: Like most shoes, ride/performance is dependent upon terrain and that is especially the case here with the Chadwick Mountain Racer. This shoe, not surprisingly, is best suited for softer, loose surfaces where the massive lugs can provide a deep bite and the stiffness of the midsole can help provide support and stability. Mud, snow, loose dirt and off trail, the Chadwick performs remarkably well, giving the utmost confidence in traction and foothold. The versatility here is limited and when running on hard surfaces, such as rock, hard dirt, pavement or the like, the Chadwick Mountain Racer is exceptionally firm, inflexible and less forgiving. As mentioned above, traction is also limited on hard, angled surfaces like slabby rock, down sloping rock or wood steps and especially when wet, so I will generally avoid this terrain if I can and stick to the softer surfaces. Of course much of the appeal of the Chadwick Mountain Racer is the combination of rugged trail use and style, and stylish it is, receiving compliments often when wearing casually or on the trail. As far as casual comfort is concerned however, I find the Chadwick Mountain Racer to be somewhat lacking in cushion and plushness for the casual everyday comfort I prefer. All in all it is a very high quality, stylish shorter distance trainer for softer surfaces. .3 for price. $230 is a lot for a running shoe, especially one that is not at the absolute top of the heap for a specific task. .3 for wet traction/steep hard surface traction. Granted they are made for softer surfaces, but would love to see more versatility here. A beautifully designed and executed limited edition, the Chadwick Racer really lives and shines for me at two different extremes: on rugged, ideally softer surface mountain terrain, taken at slower paces such as when hiking and scrambling, and as a more casual head turning shoe which because of its firm underfoot platform and impeccable upper support makes it a great option, while not a plush one, for all day on the feet concrete urban jungle surfaces. And in the end these two extremes may be exactly how District Vision intended them to be seen and used. The brand is branching out from its sunglasses origins in very neat ways here and I look forward to what they come up with next. -0.8 for overly firm midsole/outsole and stiffness which limits versatility. There is no reason I can see that the Chadwick couldn’t be slightly softer overall. Performance on more varied terrain and comfort underfoot would be improved. -0.2 for price. It is a very limited edition beautifully crafted, spectacular looking shoe with expected truly outstanding durability but the price of admission is steep. Close siblings indeed, but these two shoes are wildly different. The Chadwick is lighter than the SC 5, a little lower, more stable and more agile, where the SC5 rides higher, particularly in the heel, has more forgiving midfoot cushioning, a more flexible/comfortable/breathable upper with more generous heel collar cushioning and tongue padding. SC 5 has the Quicklace which is nice and also has larger and just slightly deeper lugs. Traction overall is very similar, both excelling on soft surfaces and struggling a bit on hard surfaces and especially wet hard surfaces. The price difference however cannot be overlooked, where you can save $100. Sam: If you need the ultimate heavy duty soft soft terrain shoe no question the Speedcross 5. 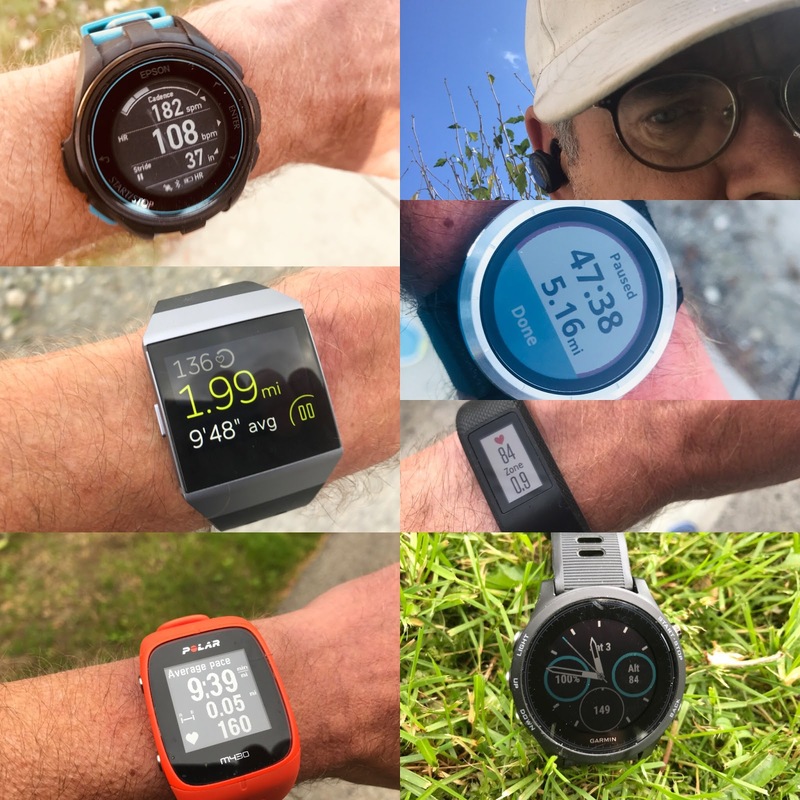 And disagreeing somewhat with Jeff ,the considerably softer Speedcross 5 is not rough and harsh on firmer terrain although its big lugs and blocky heel are felt and somewhat in the way on harder bumpy dirt but less so actually on road. Jeff: Similar in stature, both with an aggressive outsole and lower to the ground ride, the Sense Pro 3 is lighter, more agile, more breathable, more precise fitting, lower to the ground and more responsive. Sense Pro 3 also has better all around versatile traction and costs $100 less, though I found the Sense Pro 3 to be a bit unstable in technical terrain, where the Chadwick has better stability. Jeff: Both have heavy duty protection and aggressive tread, however the XA Elevate is much more versatile and accommodating, with firm, but more forgiving cushion, more breathable and flexible upper and costs much less. Sam: Looks aside no question the versatile, protective, and just about any surface or distance XA Elevate for me. Awful to say the least; I'd probably find at least a dozen shoes worth this price, even if less expensive yet at their actual retail cost. They'll easily sell for twice the price to shoe collectors.